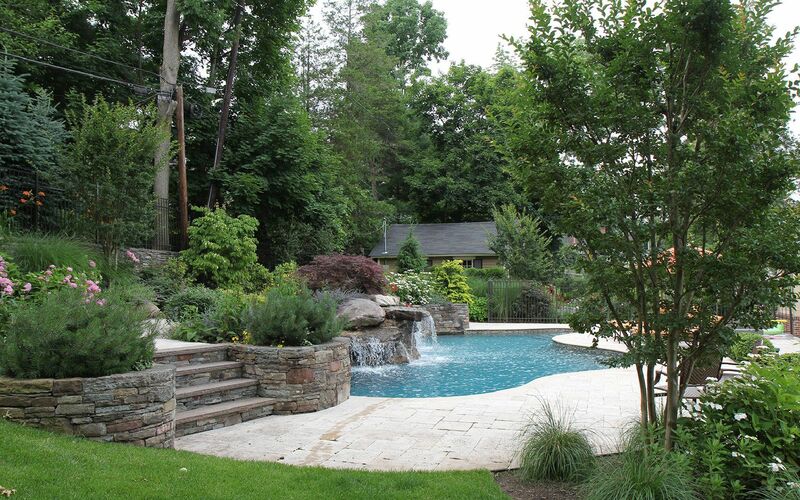 Two 3HP pumps and Indian Hill boulders push substantial water flow over a 28 foot wide waterfall. 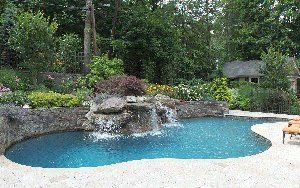 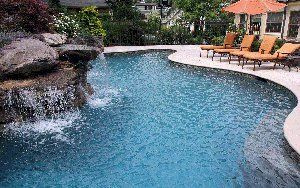 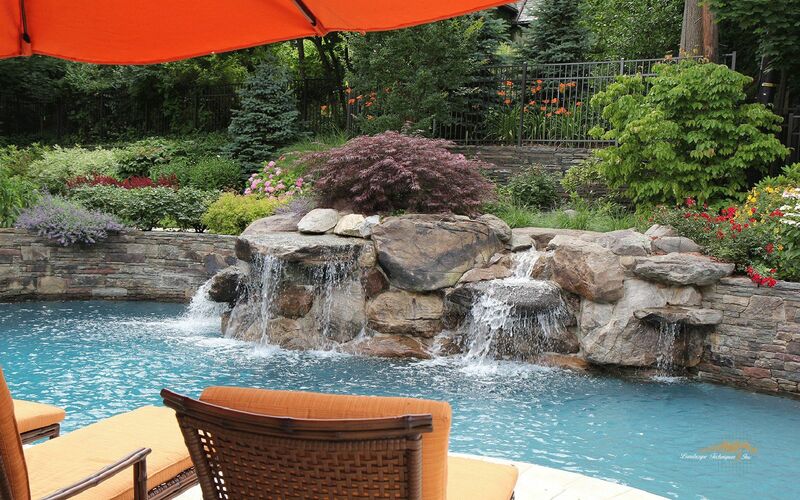 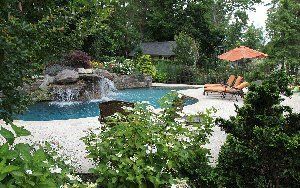 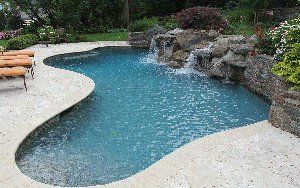 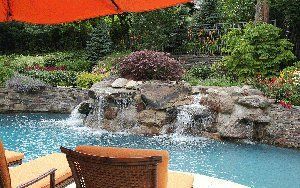 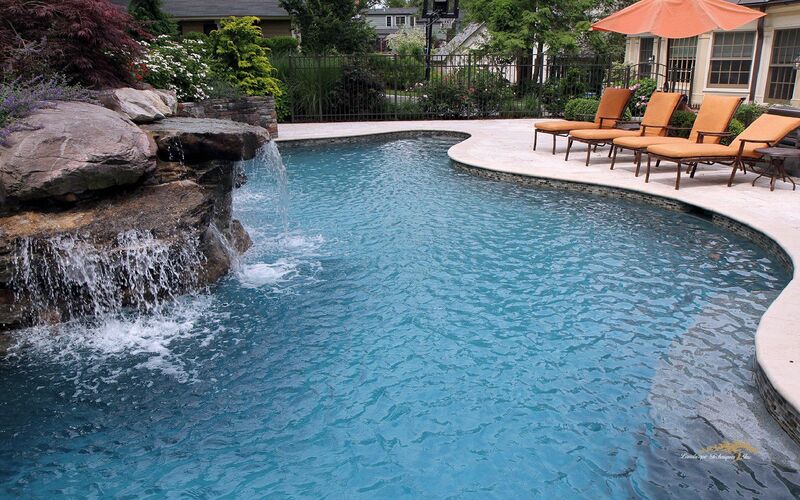 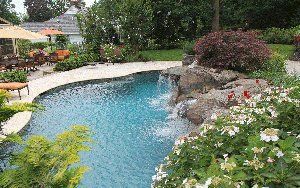 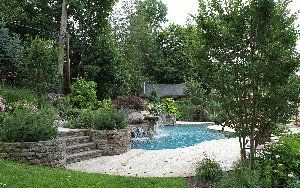 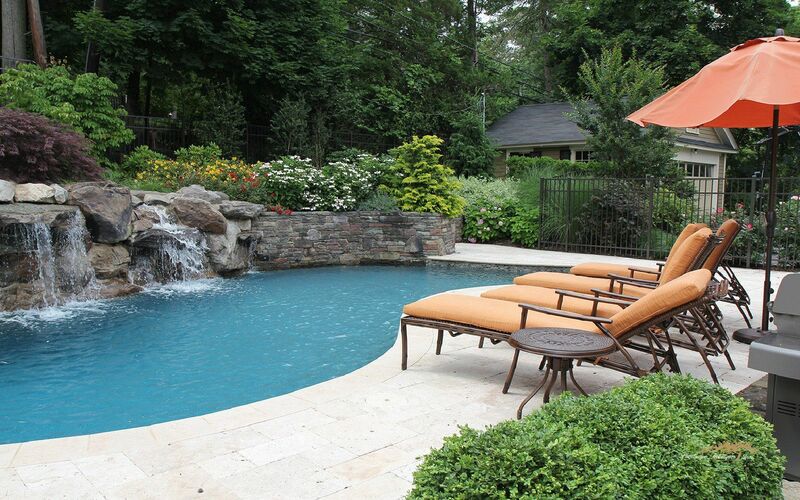 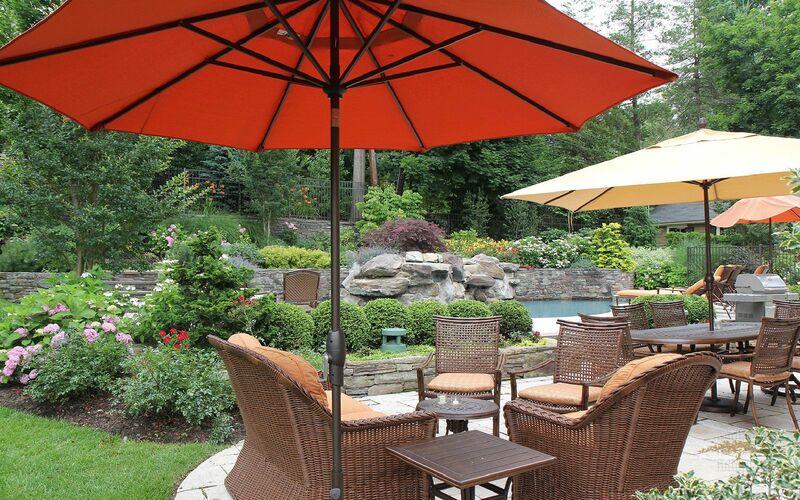 The veneer faced pool wall is crafted in Kearney stone with a small percentage of onsite brownstone mixed in. 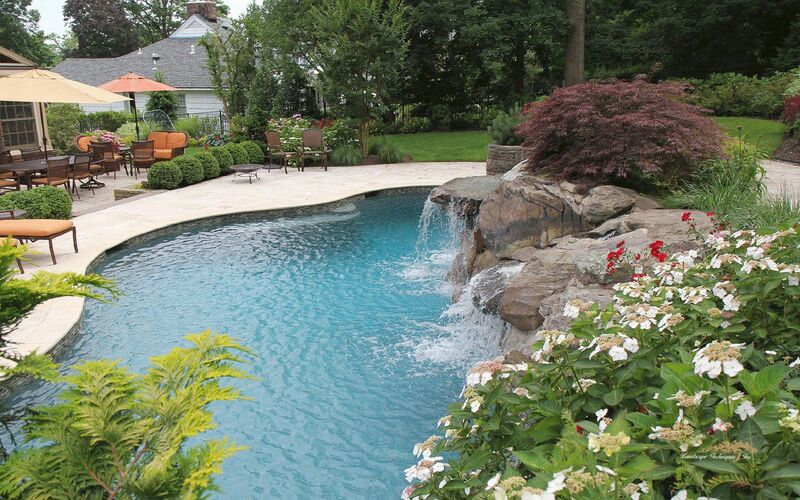 Statically placed plant specimens frame and adorn the water’s shape. 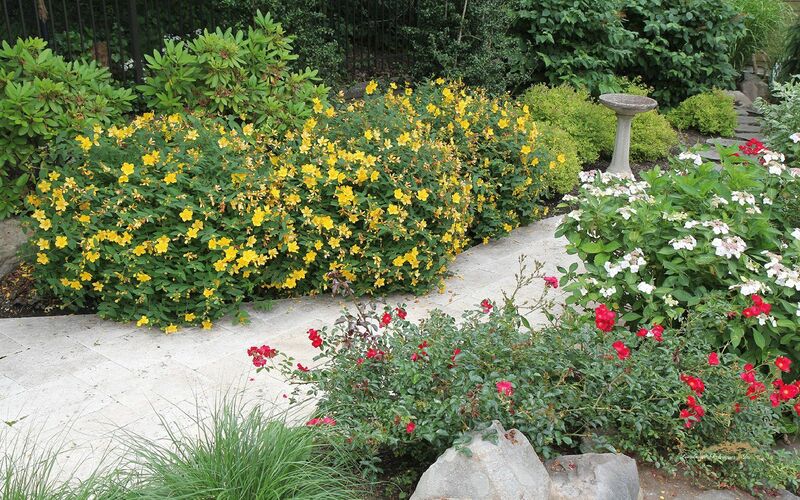 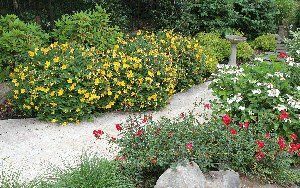 Plant masses are used repetitively throughout the landscape to provide brilliant color, texture, and depth. 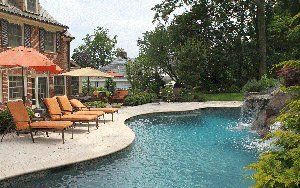 Travertine patio and bull nosed pool coping are soothing to the feet and the eye and used on all three levels of the project.